With a passion for cinema from an early age, Gerald began publishing film commentary in 1982 and was the longtime film critic for the Saskatchewan-based weekly journal The Prairie Messenger where his “Screenings & Meanings” columns appeared in print and online until it ceased publication in 2018. A longtime volunteer with the One World Film Festival, Ottawa’s longest-running documentary film festival, in 2017 he became president of its parent organization One World Arts. He is also a longtime ambassador member of the Canadian Film Institute. He continues to do film reports for the CKCU radio program A luta continua (“The struggle continues”) and maintains a film blog on his website, screeningsandmeanings.com. Gerald holds a doctorate in political science from Carleton University with a deep background in international issues. 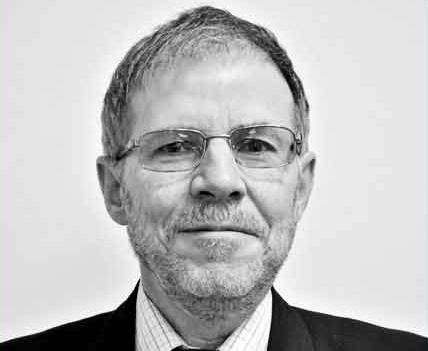 He was a policy analyst with the Parliamentary Information and Research Service from 1981-2011, including as principal analyst for international affairs and as research director for the House of Commons Standing Committee on Foreign Affairs and International Trade/Development from 1994 to 2008. The author of numerous publications, in 2013 he was named an “alumni of influence” by the University of Saskatchewan’s College of Arts and Sciences. Gerald Schmitz developed a passion for cinema from an early age and has been writing about film for over 35 years. This anthology includes both new material and selections from the best of film commentary 1982-2018 published in The Prairie Messenger.